Tom Petty's Legacy Lives On As 'An American Treasure' The family and former bandmates of Tom Petty are marking the one-year anniversary of his death by releasing a new collection of Petty's music. "The only time he was out of pain, I think, was when he was onstage," Dana Petty, wife of the late Tom Petty, says. Tuesday, Oct. 2, marks the one-year anniversary of Tom Petty's death. Members of the prolific musician's family and longtime band have spent much of the past year listening to his early and unreleased recordings. Wanting to mark the occasion, Dana Petty, wife of the late musician, and Benmont Tench, Petty's longtime keyboardist, started combing through the rock star's vault. They made selections for a box set that offers a kind of alternate musical history of the singer who died of a drug overdose in 2017. The 60-song posthumous release, Tom Petty: An American Treasure, contains unreleased tracks and rarities from Petty's decades-long career. The memory of his death was still fresh for Dana Petty when she walked into his home studio in California to hear what was there. She says it was an emotionally-charged but also healing experience to revisit all of Petty's old material. "At first, it was really hard to even listen to him on the radio, especially when he spoke," Petty's widow says. "In these recordings, there's a lot of joking around with the band and him talking. That was hard. As we listened, it got easier, and it was a lot of laughter and a lot of tears. It was very healing, I think, for all of us." 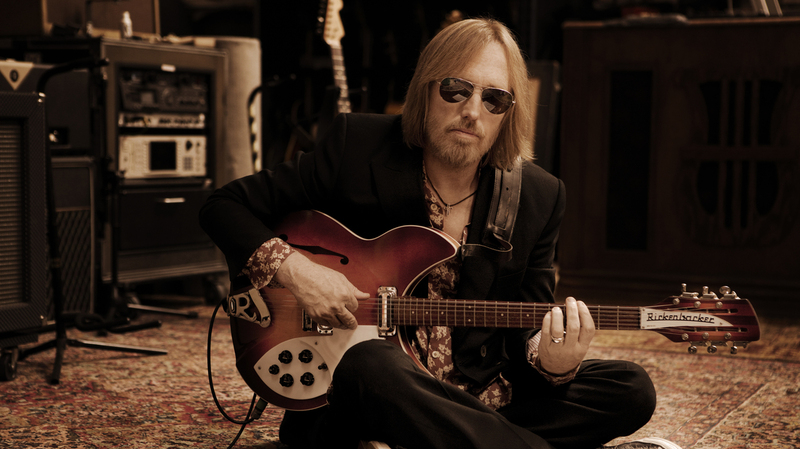 The recordings preserved Petty's voice and offered a new way to hear the man who lived much of his life in front of a microphone. Tench heard his younger years with Petty on those recordings and was reminded of Petty's writing process. With lyrics that had a distinctive edge, Tench recalls that while Petty sometimes waited like a fisherman for the words to come, often times they just flowed out. 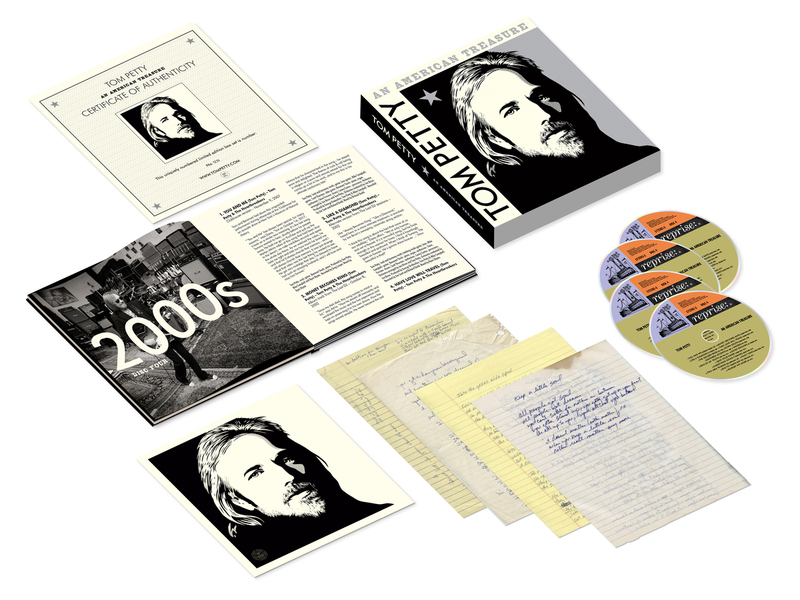 Tom Petty: An American Treasure commemorative box set. "I wasn't there when he wrote 'Free Fallin','" Tench says, "but he was totally capable of picking up a guitar or sitting down at a piano, opening his mouth and not thinking, and something as complete and beautiful as 'Free Fallin" coming out, in the course of the time it takes to sing the song." 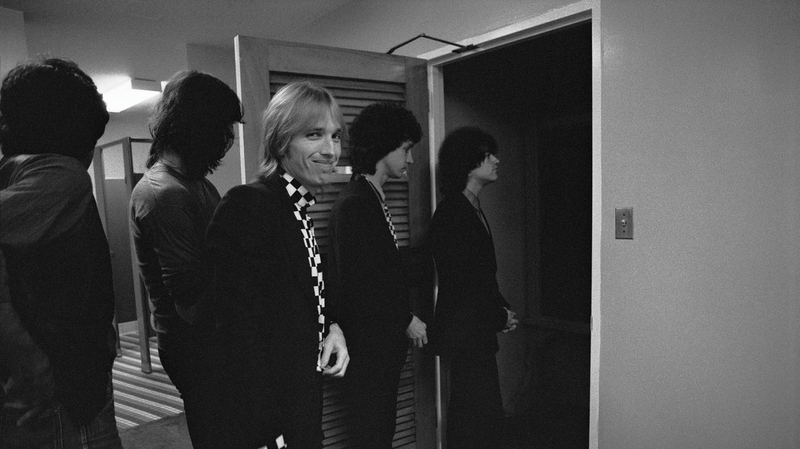 Tom Petty & The Heartbreakers about to go onstage in Honolulu, Hawaii in May 1980. In the time leading up to his death, the musician had knee and hip problems, in addition to recently being diagnosed with emphysema, but his widow and bandmates note that, emotionally, he was in a good place. "We knew that he had a fracture in his hip, but he wanted to play," Tench says. "If the dressing room was far, on the last tour, he would take a golf cart from the dressing room to the steps up to the stage. But the second he hit the stage, he was on and he was gone. You would never have known anything." "The only time he was out of pain, I think, was when he was onstage," Dana Petty adds. What remained after his death was recording after recording of a man who never stopped thinking about his music. Petty's newly published recordings like "Keep A Little Soul" offer, as pop songs like often do, advice for life. "That's the one I listen to the most," Petty's widow says. "It's not too dark. There's hope there."